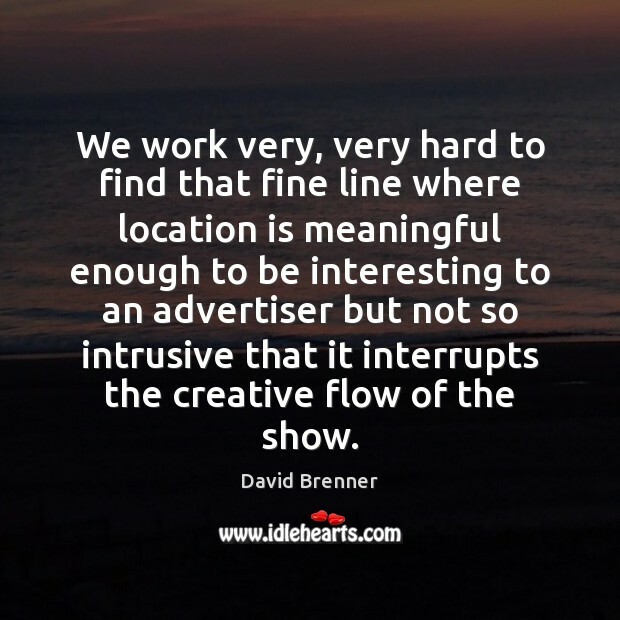 Quotations about Advertiser. Quotes to stimulate mind and drive action! Use the words and quote images to feed your brain inspiring things daily! 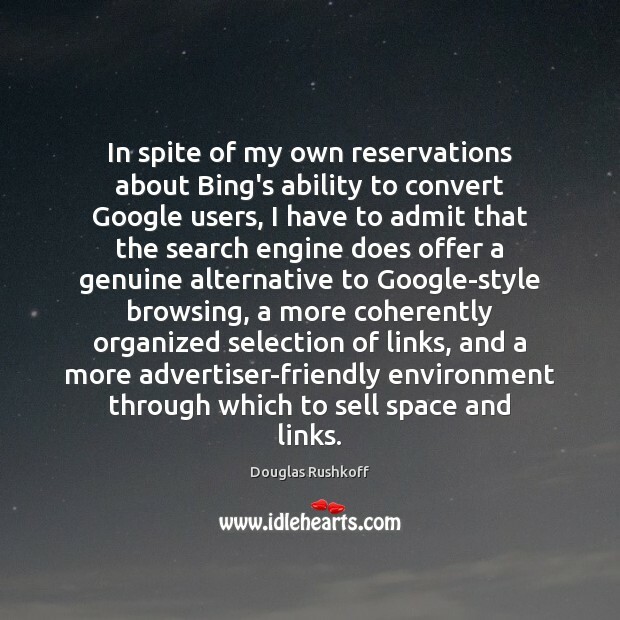 In spite of my own reservations about Bing's ability to convert Google users, I have to admit that the search engine does offer a genuine alternative to Google-style browsing, a more coherently organized selection of links, and a more advertiser-friendly environment through which to sell space and links. 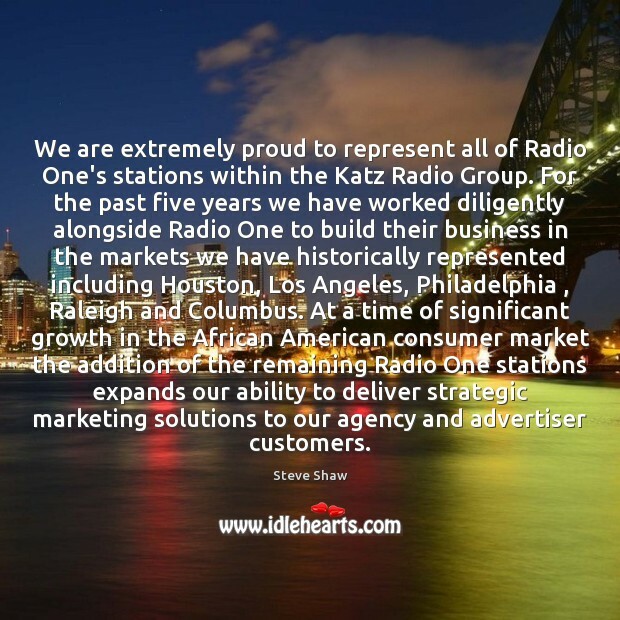 We are extremely proud to represent all of Radio One's stations within the Katz Radio Group. For the past five years we have worked diligently alongside Radio One to build their business in the markets we have historically represented including Houston, Los Angeles, Philadelphia , Raleigh and Columbus. At a time of significant growth in the African American consumer market the addition of the remaining Radio One stations expands our ability to deliver strategic marketing solutions to our agency and advertiser customers. 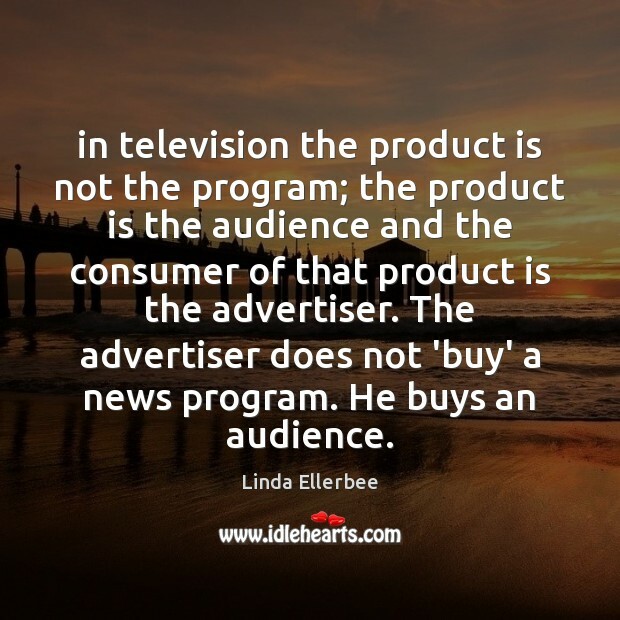 in television the product is not the program; the product is the audience and the consumer of that product is the advertiser. 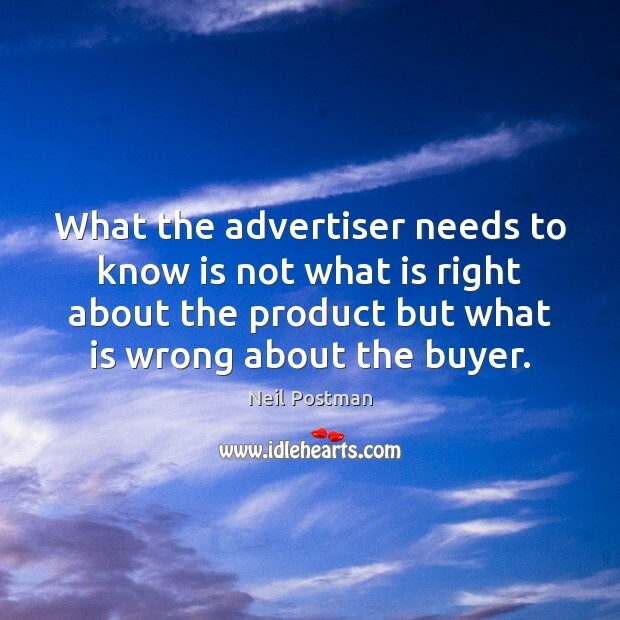 The advertiser does not 'buy' a news program. He buys an audience. 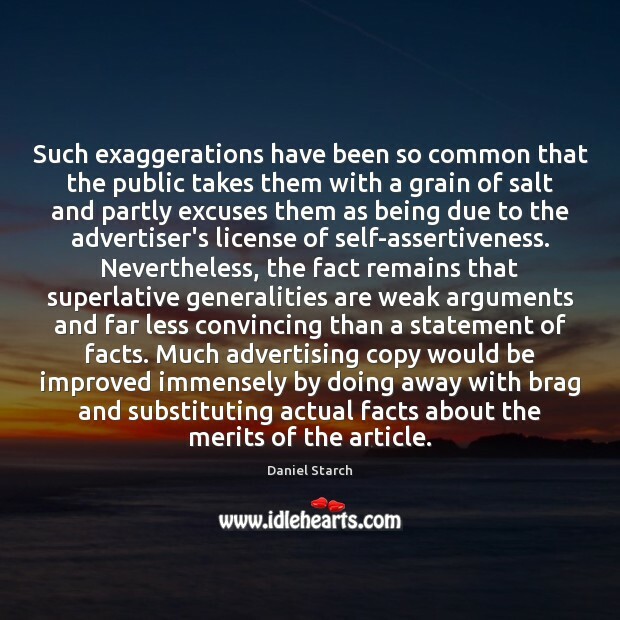 Such exaggerations have been so common that the public takes them with a grain of salt and partly excuses them as being due to the advertiser's license of self-assertiveness. Nevertheless, the fact remains that superlative generalities are weak arguments and far less convincing than a statement of facts. Much advertising copy would be improved immensely by doing away with brag and substituting actual facts about the merits of the article. The advertiser's logotype at the bottom of the ad can be considered as part of the headline. After reading the headline, the reader instinctively looks down at the logotype to see the company name. 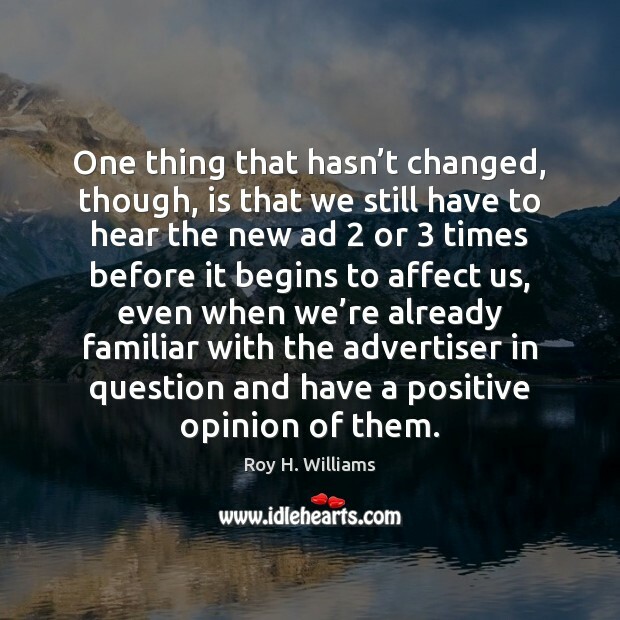 One thing that hasn’t changed, though, is that we still have to hear the new ad 2 or 3 times before it begins to affect us, even when we’re already familiar with the advertiser in question and have a positive opinion of them. 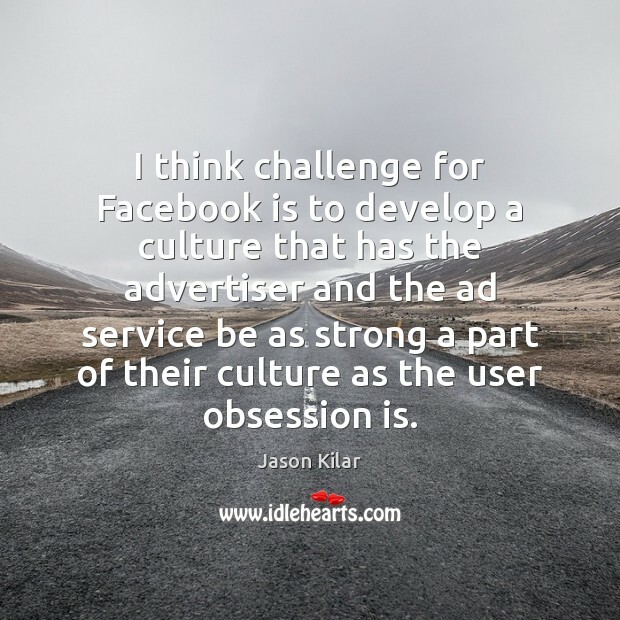 I think challenge for Facebook is to develop a culture that has the advertiser and the ad service be as strong a part of their culture as the user obsession is. Who was the greatest business man ever. . . The greatest salesman? Advertiser? Who? . . . It was Jesus. 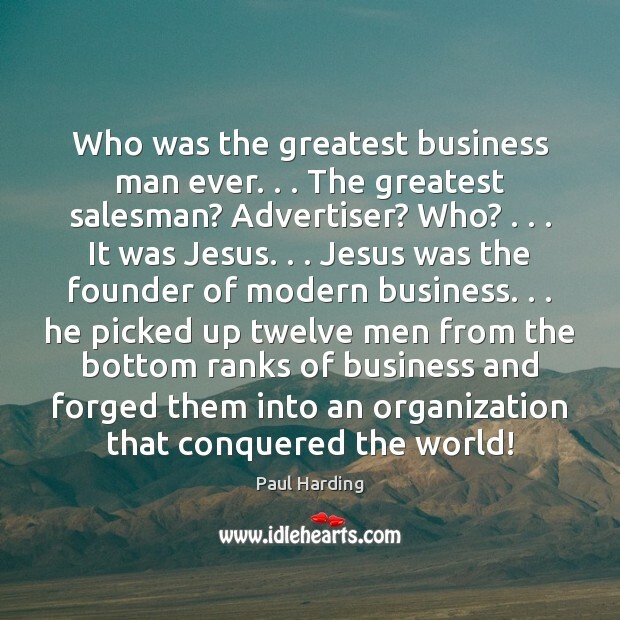 . . Jesus was the founder of modern business. . . he picked up twelve men from the bottom ranks of business and forged them into an organization that conquered the world! 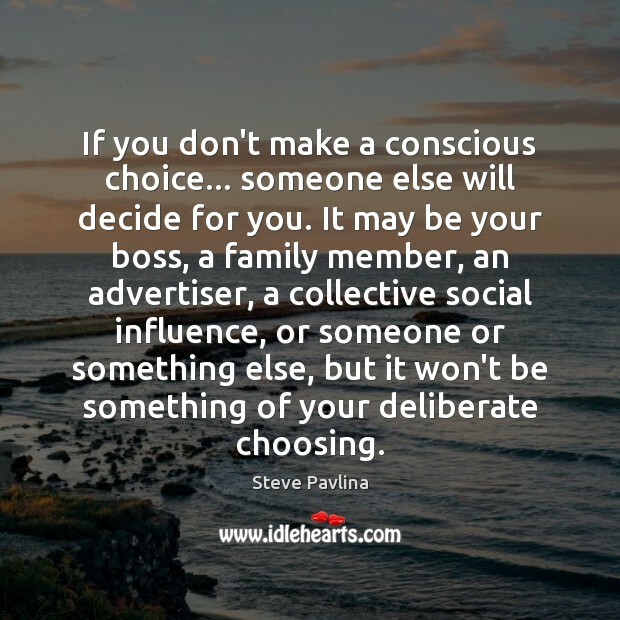 If you don't make a conscious choice... someone else will decide for you. It may be your boss, a family member, an advertiser, a collective social influence, or someone or something else, but it won't be something of your deliberate choosing. 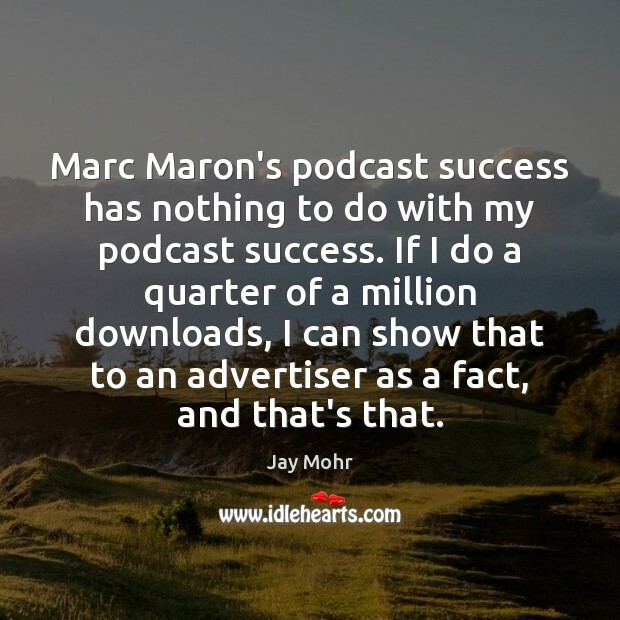 Marc Maron's podcast success has nothing to do with my podcast success. If I do a quarter of a million downloads, I can show that to an advertiser as a fact, and that's that. 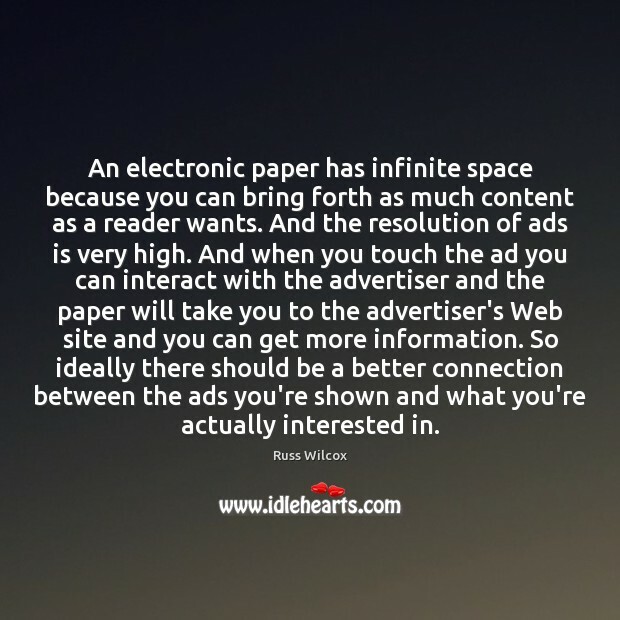 An electronic paper has infinite space because you can bring forth as much content as a reader wants. And the resolution of ads is very high. And when you touch the ad you can interact with the advertiser and the paper will take you to the advertiser's Web site and you can get more information. So ideally there should be a better connection between the ads you're shown and what you're actually interested in. The most puzzling thing about TV is the steady advance of the sponsor across the line that has always separated news from promotion, entertainment from merchandising. 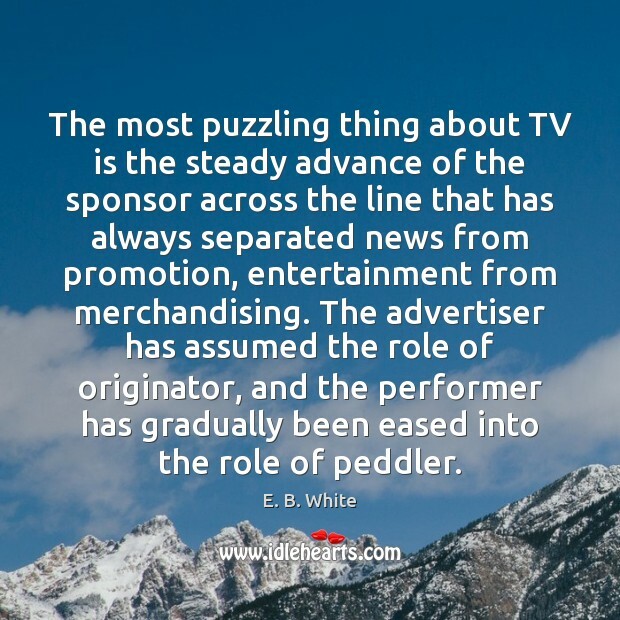 The advertiser has assumed the role of originator, and the performer has gradually been eased into the role of peddler. I'd like the reader to decide if he is willing to pay minute sums for content. 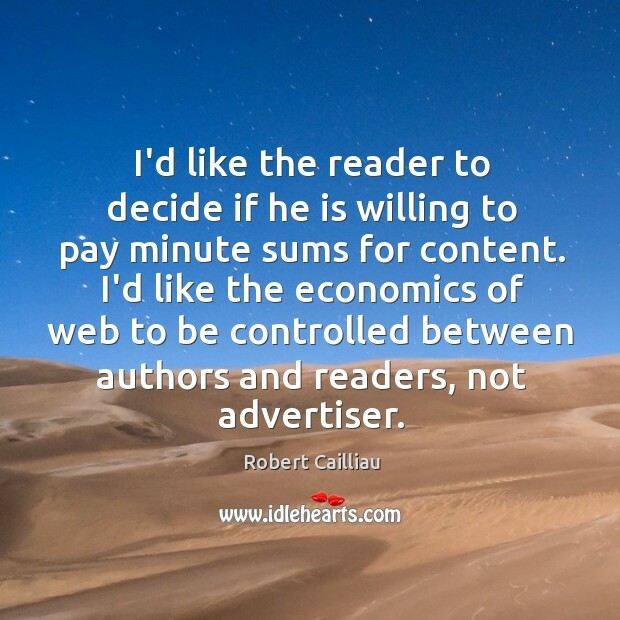 I'd like the economics of web to be controlled between authors and readers, not advertiser. 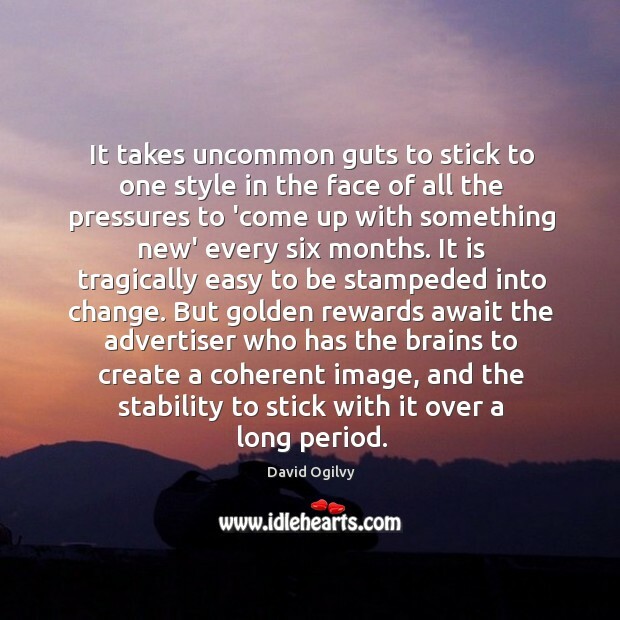 It takes uncommon guts to stick to one style in the face of all the pressures to 'come up with something new' every six months. It is tragically easy to be stampeded into change. But golden rewards await the advertiser who has the brains to create a coherent image, and the stability to stick with it over a long period. Lying and cheating in advertising, in the long run, are commercial suicide. 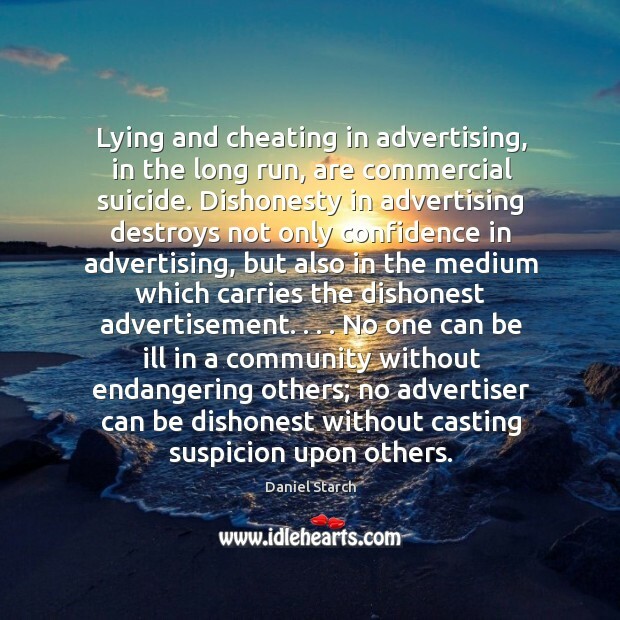 Dishonesty in advertising destroys not only confidence in advertising, but also in the medium which carries the dishonest advertisement. . . . No one can be ill in a community without endangering others; no advertiser can be dishonest without casting suspicion upon others.